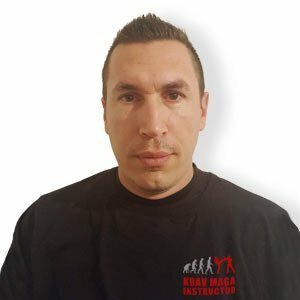 I began Krav Maga with Stéphane Chatton and immediately liked the simplicity, efficiency and open-mindedness of this reality-based method. After Stéphane’s departure, I naturally followed Pierre Marques, his student, who taught me a lot of secrets of Krav Maga. At the same time, I became a gendarme and I did a lot of external missions: French Guiana, Ivory Coast, New Caledonia, … and I joined a tactical team. Today, I’m an investigator in a difficult city near Marseille and I’m confronted every day with violence, fraud and intimidation.